Overall, I came away from the conference not with just amazing leads, but new ways to approach both customers and co-workers. I would definitely recommend anyone in the HVAC industry to attend next year’s show, March 17-20 in Nashville, TN. I hope to see you there. At the end of February I had the pleasure of attending the IE3 show in Orlando, Florida. In the three years I have worked at CRT, this was only the second time I’ve attended this show, and one of only a handful of shows I have been to thus far. However, this show was probably the most enjoyable and informative, and may well prove to be our most successful. The IE3 Show consisted of members of the Air Conditioning Contractors of America (ACCA), the Indoor Air Quality Association (IAQA), and the Residential Energy Services Network (RESNET). These three groups amounted to over 2500 decision makers attending the three day expo. With 220 exhibitors, this amounted to a very favorable 11:1 ratio. Our primary focus this year was reaching more members of ACCA. While last year’s show seemed to be focused more on how to stop losing business during a struggling economy, this year’s show had a much more positive atmosphere. Even the attendees were in amazing, optimistic moods open to new ideas and products. Our booth was constantly busy. Of course, Pancrete, our condensate pan resurfacer, grabbed everyone’s attention; but what was surprising was how many people that don’t necessarily work in units, such as raters and consultants, took an interest in what we offered. People were looking at ways to grow business, for new products and application, and to make the business they already have more profitable through customer interaction. 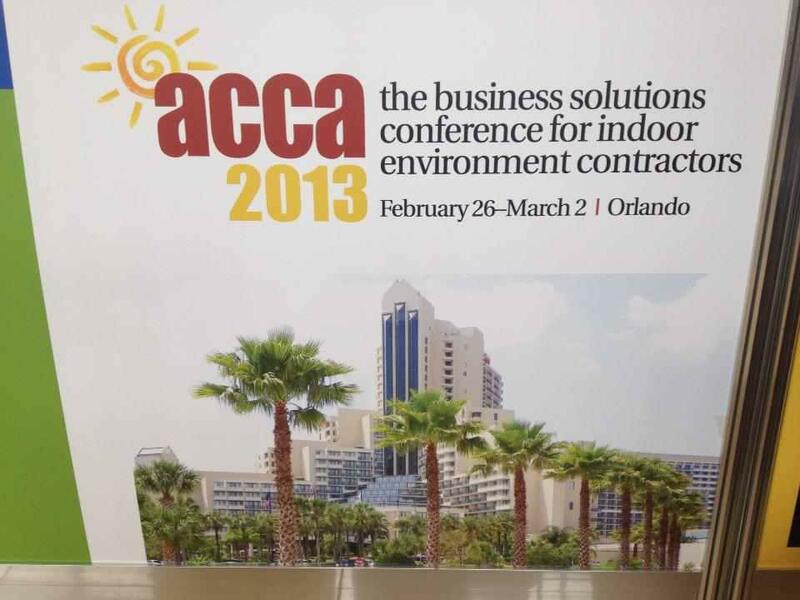 While many of the seminars in the IAQA and RESNET tracks focused on mold and energy services management, ACCA steered more into business growth and client communication. From the show’s opening session, which focused on building relationships with clients to create results, and continuing through to the learning labs, ACCA’s focus was clear. At least 17 of the 42 seminars dealt with communication, whether through managing employees, handling customer questions, or growing social media. I was able to attend four sessions, dealing with managing sales, customer service communication, and increasing your social media footprint, and all were expertly presented and well received. These classes discussed managing processes, not people; listening, not simply hearing; spheres of influence and what you can and cannot control; and how much and often social media should be used by your company.